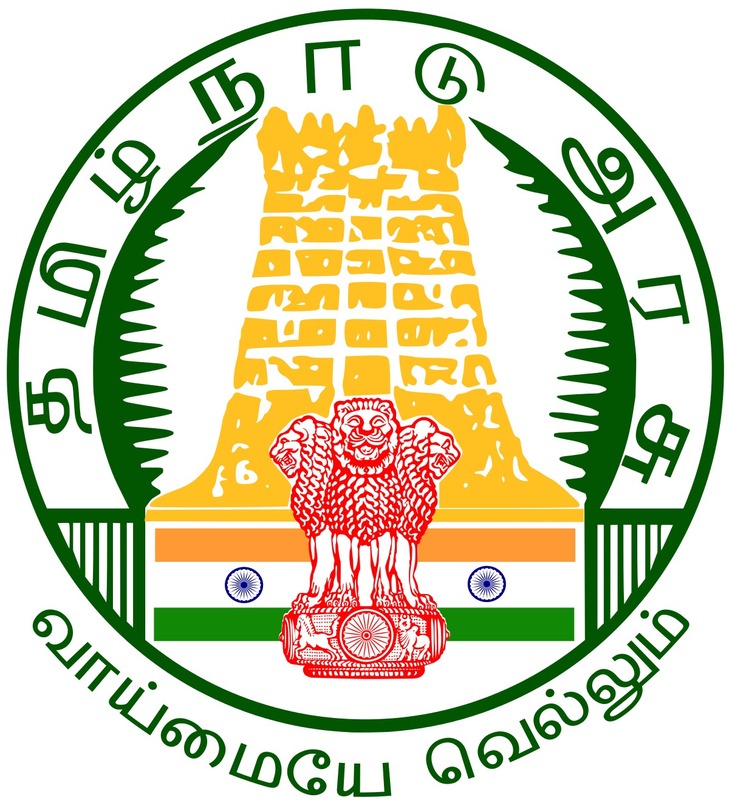 TNFUSRC தமிழ்நாடு வனத்துறையில் Forest Guard Hall Ticket 2018: The Tamil Nadu Forest Department have officially released the TNFUSRC Forest Guard and Forester Admit card 2018. The TN Forest Hall Ticket for Forester and Forest Guard / FG with Driving License has been released on the official website of the Tamil Nadu Forest Department, tnfusrc.in. The TNFUSRC Forest Guard exam will be held to select capable candidates to fill in the role of Forest Guard in the Tamil Nadu Govt. Similarly, the TNFUSRC Forester Exam is held in order to recruit candidates who will serve the role of Forester. Both these exams will be held soon after the application process is completed. Many aspiring job seekers have already completed their TNFUSRC Forester and Forest Guard applications. These candidates are now preparing for their respective exams. All the applicants will thus require the TNFUSRC Forest Guard admit card. The TNFUSRC Forester Hall ticket will be released soon by the Tamil Nadu Govt. TN Forest Guard Exam Postponed due to damages caused by Cyclone Gaja. Our hopes and prayers are with all those who are facing the after-effects of this unfortunate event. New exam dates and Timings have been updated on this page. The TNFUSRC Forester Hall Ticket 2018 will be out for download on the TN website on 21st November. The TN Forest Guard / FG with Driving License Hall Ticket 2018 will be out very soon on the TN website. The TN Forest Department has also declared the batch wise exam date and duration for the Forester as well as the Forest Guard Exams 2018. The Forester Exam will be conducted on 6th. 7th. 8th, and 9th of December 2018. The Forest Guard and FG with Driving License Examination will be conducted on 10th and 11th December 2018. Official TN Forest Dept. Mock Test Available for Practice – Links provided below! We have provided download links for both the TNFUSRC Forest Guard as well as the TNFUSRC Forester hall ticket on this page. Kindly use these links in order to download your Exam Admit cards Online Now. with Driving License Guard Hall Ticket / Admit Card 2018? Candidates can download the TNFUSRC Forest Guard and Forester Admit Cards by following the simple steps enlisted below. Firstly, candidates are required to visit forests.tn.gov.in. Once on this website, candidates should proceed to the Admit Card/ Hall Ticket section. From here the candidates have to click on either of Forest Guard or Forester depending on the recruitment they applied for. The TNFUSRC Forest Guard Admit Card and the TNFUSRC Forester Hall ticket have been released by the TNFUSRC on 18th November 2018. This means that the Forest Guard and the Forester Exams will commence within 10-14 days. The links provided below will facilitate you to download the TNFUSRC Forest Guard and Forester Admit Cards as soon as they are released officially. This page will act as a hub for all the latest news and updates regarding the TNFUSRC recruitment 2018. Candidates who have applied for the Tamil Nadu Forest Guard And Forester Exam 2018 are reminded that the TNFUSRC Forester and Forest Guard Exam Dates have been released. The batch-wise exam dates have been tabulated below as per the latest press release of the TN Forest Department. Maximum Marks -100 each paper. The Question Paper shall consist of 150 Multiple Choice Questions (MCQs). Admit cards can be downloaded from 18.11.2018 onwards. Regular updates regarding the same will be provided on this page as and when they are made public by the Tamil Nadu government. The candidates who are applying for these Vacancies will have to go through a stringent selection process. Only candidates who are selected in the online exam will move on to the next stage of selection. All the details regarding the exam date and exam Centers will be provided on your TNFUSRC Exam Hall Ticket 2018. 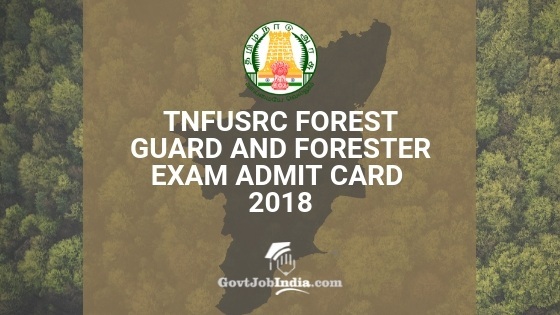 We hope that all the information provided here regarding the TNFUSRC Forest Guard and Forester Admit card has been of assistance to you we will provide the latest information on this page as soon as it is released by the TNFUSRC. Feel free to use the comment section below to ask us all your doubts. We are always available to provide you with assistance. All the very best for your TNFUSRC Exam 2018. I Cannot download my admit card..please help and reply.. I Am applied for forest guard..
Yous should get in touch with the officials at the TN Forest Department immediately. We hope your problem is resolved. Don’t panic, the error may be occurring because of server load.